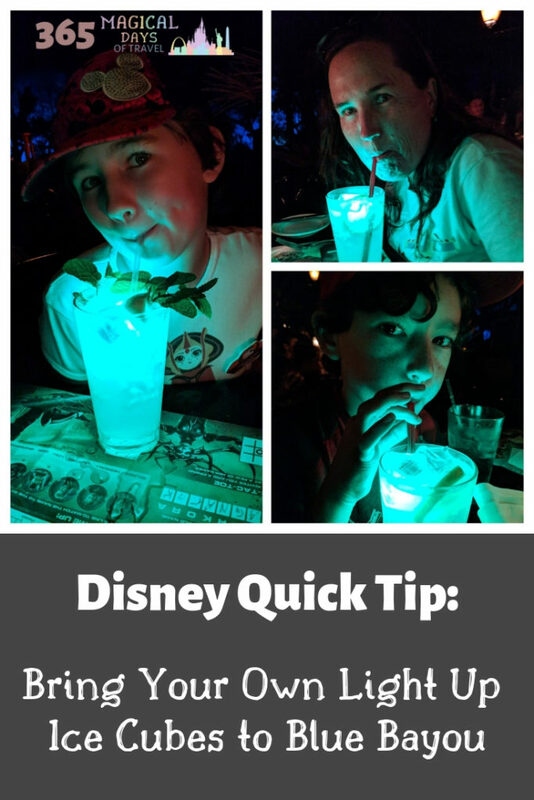 At Blue Bayou, you can get a great meal and an even better ambience, but you can save yourself some money by bringing your own ice cubes for the light up drinks. Blue Bayou is the restaurant right set within the Pirates of the Caribbean ride. If you get a water-side table, you can watch the boats float serenely by as you dine. 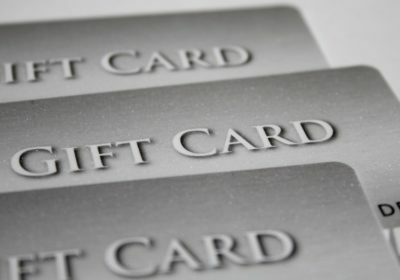 The lighting is dim, to the point where you either need to decide ahead of time what to order, or know how to use your smartphone as a flashlight. 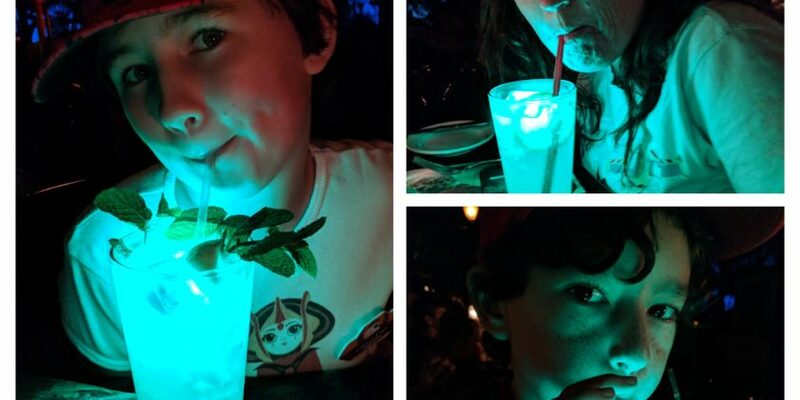 In all this dim lighting, it’s fun to get light up drinks to set the mood at your table, and of course, you know the kids are going to ask for one of their own. For $8.00, you can get the Mint Julep with a glow cube. However, if you order the plain Mint Julep, you can save yourself $3.00 per drink by bringing your own glow cubes from home. We paid for the cubes the first time we went to Blue Bayou, but now we bring them with us whenever we go again. 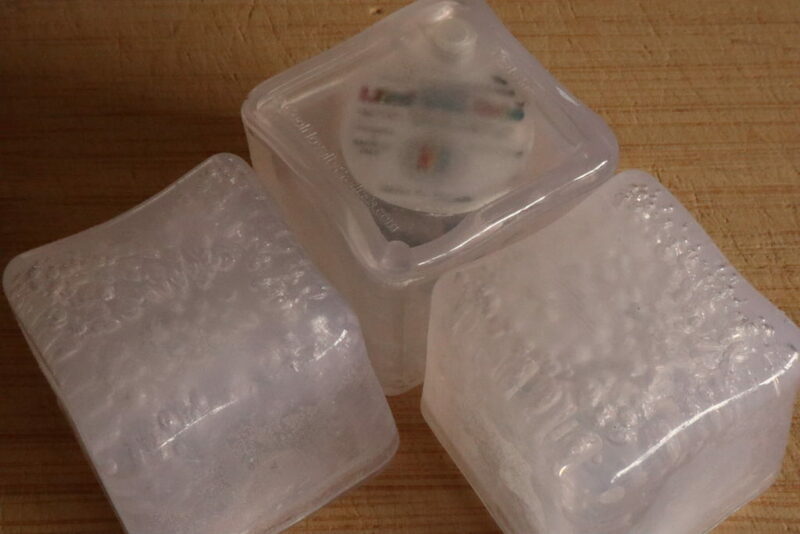 I just pop them into a plastic bag in my cooler and plop them in our drinks. Instant coolness!